MOUSTACHE, our new e-bike brand, available at The Bike Store in Livigno! 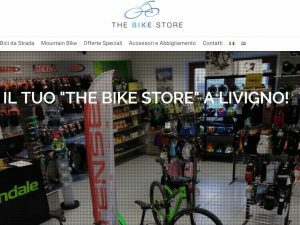 The Bike Store - Il tuo Bike Shop a Livigno > Bike Store News > MOUSTACHE, our new e-bike brand, available at The Bike Store in Livigno! Moustache bikes are based in the Vosges region of France and know a thing or two about fusing performance with style. Their new Hidden Power project takes the high performance Samedi platform and integrates the battery inside the frame to produce an achingly beautiful E-MTB range. Integrating an E-MTB battery is not easy, and there are plenty of clumsy attempts on the market, but Moustache’s new ‘Hidden Power’ project achieves it with elegance. The carbon models are very well designed, but Moustache have to be commended for their achievement in integration in aluminium too, a process that has pushed hydroforming technology to its absolute limit. Not only do the bikes look better, but moving the battery lower into the frame improves the centre of gravity, keeping it low for aggressive dynamic riding. Come and visit us, we will be pleased to help you choose the best e-bike for you! 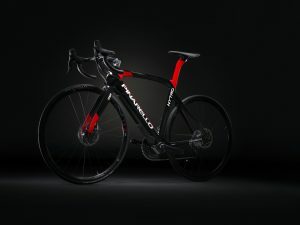 New Pinarello Nytro, soon in our store! 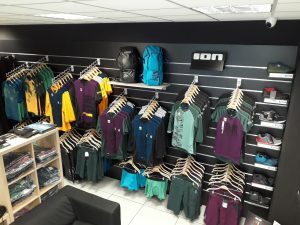 New 2019 ION collection available! Our shop is specialized in sale and assistance for all cyclists, both roadies and mountain bikers (cross country, all mountain, enduro, downhill). Sale of many different brands, such as Pinarello, Cannondale, Moustache, Ion, Evoc and Sportful. High level workshop for the assistance and the maintenance of your bike.